‘Invoke Democracy Now’ and ‘Invoke Article 50 Now’ are campaigns sponsored by the online magazine ‘Spiked’ (see web page header above). 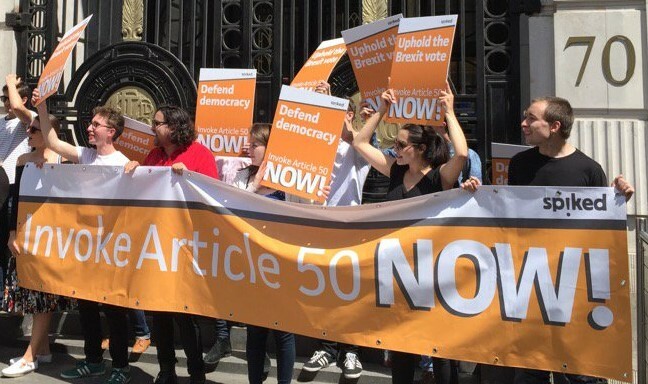 Their latest “Demo for democracy: uphold the Brexit vote!” was held on 5th September to coincide with a debate in the commons on a petition which gained over 4 million signatures. The petition, set up by a Brexit supporter before the referendum was held, called for the Government to annul the results if the Remain or Leave vote won by less than 60 per cent on a turnout of less than 75 per cent (the turn out was 72%). Whether you supported Brexit or Leave it might be interesting to know a little more about ‘Spiked’. The history of Spiked and many of its contributors is bizarre to say the least, as is its current output. The team at Spiked and the associated Institute of Ideas are part of a loose and informal network of individuals and organisations sharing a libertarian and anti-environmentalist ideology. It is led by people associated with the defunct Revolutionary Communist Party (RCP) and its publication Living Marxism. Members of this network, who seem to have transitioned from marxism to right wing neolibertarians, have obtained influential positions with other organisations and the network also has extensive youth oriented programmes. It is clear from reading Spiked on Line that this is an organisation that is unashamedly post fact, post evidence and post reason. Their articles invariably take the simplistic and evidence free route of blaming all our problems on experts, a ‘metropolitan elite’, left wing media and of course the EU. You will have to search very hard to find any analysis of the role of banks, corporations, free market ideologues, press barons, or right wing politicians that exploit populism for their own ends. I don’t expect you to take my word for it – just take a look for yourself. If you think that the ‘chattering classes’ are the source of all evil you will love this Andrew Bolt interview with Spiked editor Brendan O’Neill. If you prefer a more rational and reasoned approach I suspect you will be horrified. Let me know. Colin, thank you for the truly bizarre clip. I was amused by the lefty elite being “drunk on its own power” – not very drunk then. I also enjoyed “how threatening do you find that?” – pure Alan Par-tridge. It is extraordinary that the people who most complain about the “chattering classes” are perfect examples of it. 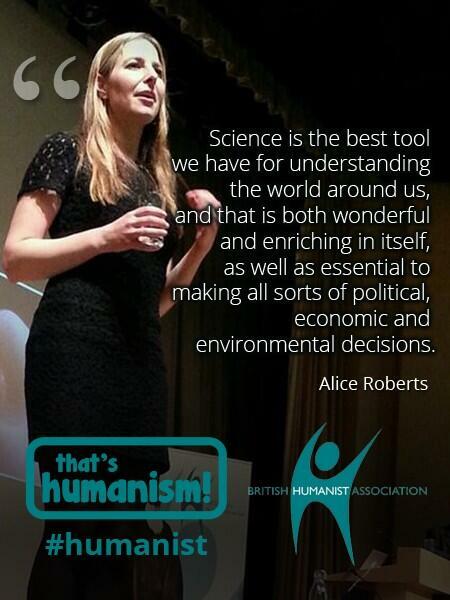 As with “The Moral Maze”, we are given an example the ideas of “experts” which are there to be derided by persons of the elite claiming to represent common sense. Apparently you can have it both ways. There is an issue I think about identity politics, but it’s not the reduction to “political correctness gone mad” that these guys come up with. It is about the need to prevent discrimination by identifying what it is that is under threat and opening that up to view. But this freedom/authoritarianism trope is very interesting. “Freedom” (whatever that means) is always being paraded as the highest virtue with no concern for how to deal with the clash of differ-ent freedoms, which is what government is there for. The real divide is surely about how govern-ment is perceived: Spiked and the libertarian right both see government as interference, liberals like you and I (I assume) see it as a safety net. Nationalists muddy the water by being obsessed with immigration to the exclusion of more important things (what is UKIP’s policy on, well anything really apart from borders? ), or devolution in the case of the more liberal versions, which may account for their success – nationalist politics as displacement activity. 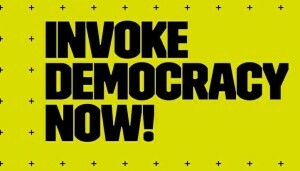 Previous Previous post: Who is behind the campaigning group “Invoke Democracy Now”. Next Next post: ‘Spiked’ launches a demented, fact free attack on “Stop Funding Hate”.